The Beatification Ceremony of Sr. Rani Maria began at 9.00 am on Saturday, November 4, 2017 at St. Paul Higher Secondary School ground, Indore, MP. Nearly 12000 people from all over India and abroad gathered to witness the event which took place for the first time in North India. The representative of Pope Francis, Cardinal Angelo Amato declared Sr. Rani Maria as "Blessed Rani Maria." Now onwards the whole Universal Church will see her as an inspirational person and will pray through her intercession to God. It is a historical moment for the people of Indore where this event is taking place. Among the dignitaries who presided over the mass are, the Apostolic Nuncio Most Rev. Giambattista Diquattro from Delhi, Nunciature Msgr. Henry Jagodzinsk from Delhi, Cardinal Mar Baselios Cleemis from Trivandrum, Cardinal Telesphore Toppo from Ranchi, Cardinal Oswald Gracias from Mumbai, Cardinal Mar George Alencherry from Ernakulum besides 10 Archbishops, 60 Bishops and nearly thousand priests and nuns from all over India. The Apostolic Letter (Litterae apostolicae in latin) of Pope Francis was read by Cardinal Angelo Amato in the presence of tens of thousands of faithful gathered in the Beatification Ceremony. The English translation of the same was read by Cardinal Mar George Alencherry and Hindi translation was read by Cardinal Telesphore Toppo. 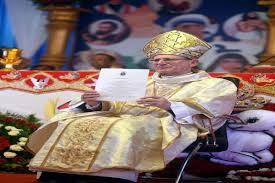 The beatification programme was followed by the Holy Eucharistic celebration by Cardinal Amato and others. 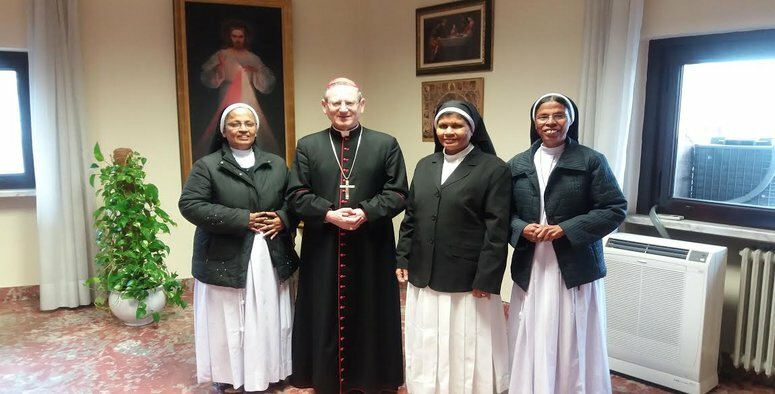 He said, "Sr. Rani Maria's martyrdom is a blessing for the Indian Catholic Church. She died to defend gospel values. Her social apostolate was for the service of the needy. Her prayer to Jesus kept her firm in holiness and spirituality. She also used to pray through the intercession of St. Alphonsa." 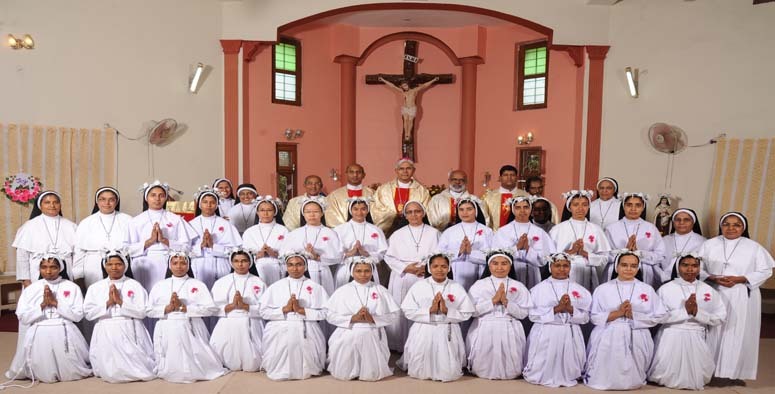 The gist of the same message was given by Archbishop Abraham of Nagpur. 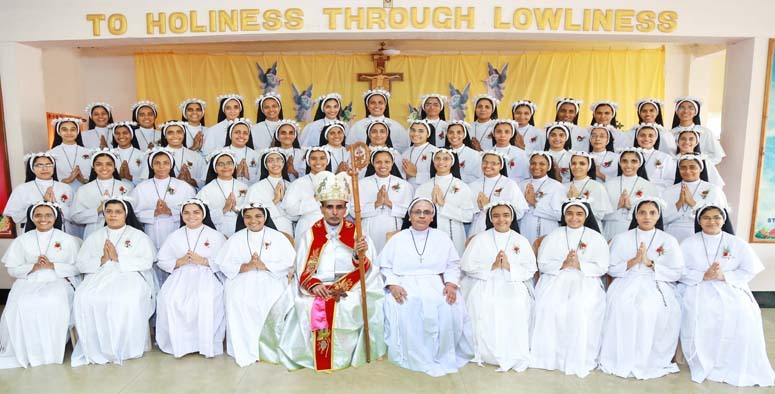 The highlight of the entire ceremony was the solemn declaration to Blessedhood, unveiling of the statue, releasing of the relic of Sr. Rani Maria and blessing of her picture. This was made available for the general public for prayer and blessings. A short film based on her life was shown to the people and the obituary of her life and mission work was read out for the public. © 2014 Copyright FCC Congregation. All Rights Reserved.